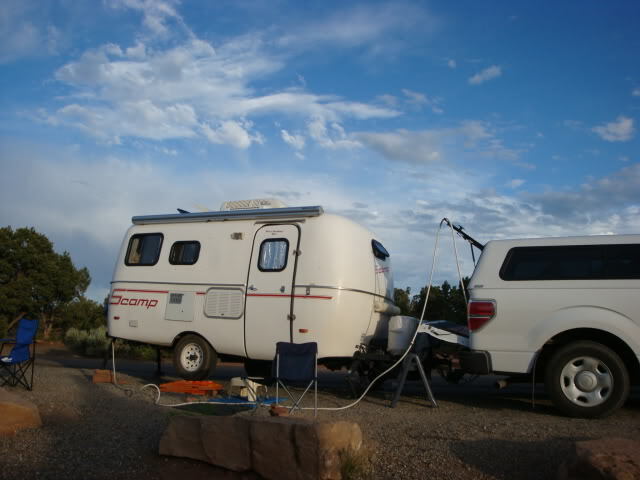 :) Auxiliary Fresh Water Tank, Transferring Water---Neat to Have Boondocking/Dry Camping. I order the one I have, due to the limited size of the Ranger's bed. My son has gotten tanks, but a different kind, more shape of barrels from Farm & Ranch Supply Companies. We both use pumps to fill the trailers tanks, but one could use gravity to fill smaller containers. With the Ranger, I had to pump it most of the time, with the F-150 being higher, gravity works very well right into the trailer's filler opening. I didn't even hook up the pump most of the time I used it this summer, each day normally. We seldom use RV Parks. Gravity wouldn't work, I use the old siphon method, which will work most times, but not all the time.